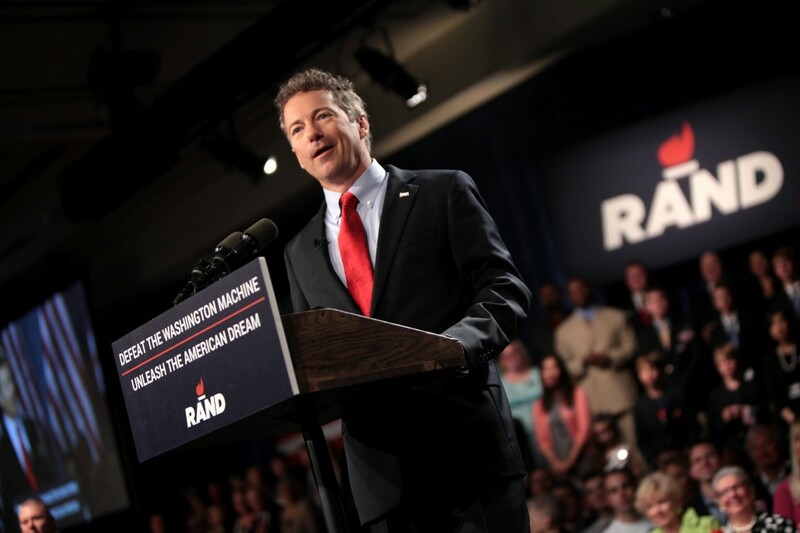 Senator Rand Paul (R-Kentucky) has entered the 2016 presidential race with the campaign slogan “defeat the Washington machine.” Yet his views and past legislative actions on immigration show that he is more likely to maintain the status quo of leaving reform in limbo rather than push forward meaningful reforms that harness the skills and talents immigrants bring to the U.S. Despite Sen. Paul’s public statements that the GOP needs to “welcome” immigrants, Sen. Paul’s actions during his first-term in congress highlight how he would rather put his energy behind enforcement measures than backing realistic, sensible policies to improve the well-being of all immigrants. 1. Sen. Paul wants to end President Obama’s Immigration Action. In December 2013, the House of Representatives approved a bill filed by Rep. Ted Yoho (R-FL) that would block President Obama’s executive action on immigration. Sen. Paul introduced companion legislation in the Senate because he believes that “our Constitution is being violated by this executive order and other actions by the Obama Administration to govern by executive fiat.” More than a hundred legal scholars disagree with Sen. Paul, noting that deferring deportation for up to 4 million immigrants is well within the President’s executive authority. 2. Sen. Paul voted against the 2013 comprehensive immigration reform bill. Sen. Paul voted against the 2013 comprehensive immigration reform bill S. 744 passed by the Senate because it did not include the completion of a border fence in 5 years or include a national identification card for U.S. citizen. He tried to pass his “Trust but Verify ” amendment with S. 744, which would include implementing these enforcement measures. This amendment was rejected by the Senate. 3. Sen. Paul wants costly enforcement-first measures implemented before fixing our immigration system. On his campaign website, Sen. Paul says in a video that “millions of illegal immigrants are crossing our border without our knowledge and causing a clear threat to our national security” and continues to advocate for a border fence stretching the 1,969 mile U.S.-Mexico border before action on comprehensive immigration reform can move forward. Sen. Paul’s stance is more of the same enforcement-first policies that have been held over the past three decades, which have cost taxpayers $186.8 billion. 4. Sen. Paul introduced legislation to end birthright citizenship. In June 2011, Sen. Paul introduced a bill with Senator David Vitter (R-LA) that would amend the Constitution to end birthright citizenship because “citizenship is a privilege, and only those who respect our immigration laws should be allowed to enjoy its benefits.” This piece of legislation is particularly troublesome because, as a report by the American Immigration Council notes, ending birthright citizenship would create a new permanent underclass and enforces the myth that undocumented immigrants come to the U.S. just to give birth. While the bill was never brought to a vote, the introduction of this bill shows that Sen. Paul is more interested in reinforcing immigration myths that distract us from finding solutions to the problems facing our outdated immigration system.